Airship 27 Productions is thrilled to present the second in Fred Adams Junior’s thriller series featuring World War II vet C.O. Jones. It’s 1949 and army veteran C.O. Jones is living in Los Angeles working as a private investigator. When he’s hired to find a missing starlet, he soon finds himself embroiled in a sophisticated conspiracy which not only includes kidnapping but high profile blackmail as well. All of which would be enough to keep any honest, hardworking P.I. busy but when it’s Jones, there is also the added element of magic to consider. Possessing an uncanny ability to recognize arcane abilities in others, Jones begins to uncover even deadlier shadows in the background. Never mind one of them may actually be a real werewolf with his own personal interest in the case. Award Winning Art Director Rob Davis provides the cover and book design while Florida based art/teacher Javier Lugo turns in his first assignment for Airship 27 with nine marvelous black and white interior illustrations. Thus action in the series shifts to Tinsel Town and with C.O. Jones, often times the monsters aren’t only up on the big silver screen. 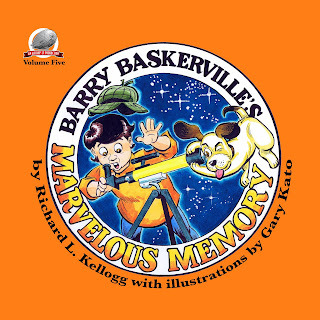 Airship 27 Productions is thrilled to announce the release “Barry Baskerville’s Marvelous Memory,” the fifth in its children’s book series about the young Boy Detective. Dr. Richard Kellogg, professor emeritus of psychology at Alfred State College, spins a fun, informative story that young and old will relish while Hawaiian based artist Gary Kato provides the beautifully colored illustrations. “Barry Baskerville’s Marvelous Memory” shows children how close observations, adequate repetition, and mnemonic techniques can enhance their memorization skills. The hero of the adventure is a precocious youngster named Barry Baskerville who has dreams of becoming a famous detective just like Sherlock Holmes. 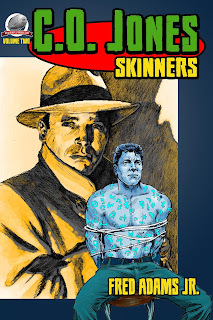 Available now in paperback from Amazon and on Kindle.